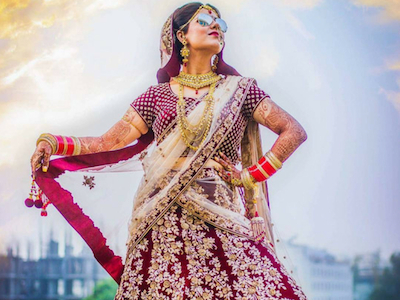 Dear Bride-To-Be, searching for the latest mehendi design? Well, we recently came across a bride who got “memes” and “bacon” written on her mehendi. Wondering why? 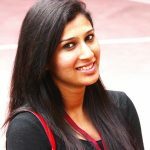 Well, forget the matrimonial websites, chat rooms, family connections and destiny because “Memes” are the new matchmakers these days. Confused? Meet Praveen Balachander and Dipti Mangottil, a couple from Chennai, who recently got married. 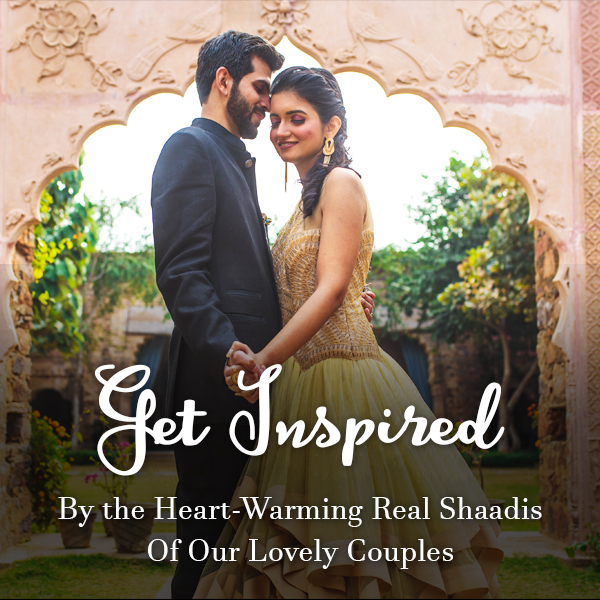 You will be surprised to know that the “memes” played cupid for their unique love story. 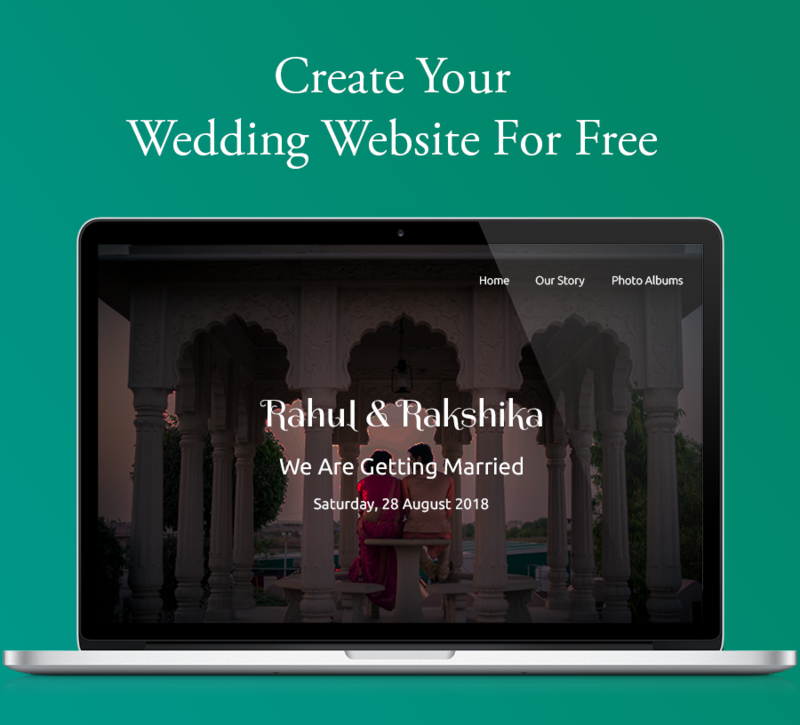 Want to know their amazing and inspiring web love saga? With social media being an important part of our everyday life, the couples’ common friend used to tag them in the same memes. And that is how Dipti got to know her husband-to-be. Very soon the two became friends on Facebook. The smart-age love began and there was no looking back. Check out the latest mehendi design for grooms-to-be here. Cupid struck and soon they realized it was time to make it official. 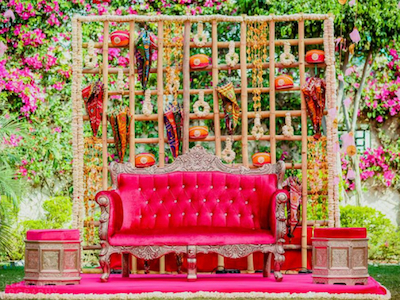 The couple got married and it was obvious for them to honour and incorporate what brought them together. The ‘memes’ and ‘bacon’ became their special guests and were included in the part of their wedding ritual. The bride’s henna clad hands with ‘MEMES’ and ‘BACON’ very much indicate that. Yep! the latest mehendi design we were talking about! It was not the husband’s name, his initials or letter-scatter for Dipti, to add to her mehndi design. Infact what the edgy bride added to her mehndi were the words ‘MEMES’ and ‘BACON’. 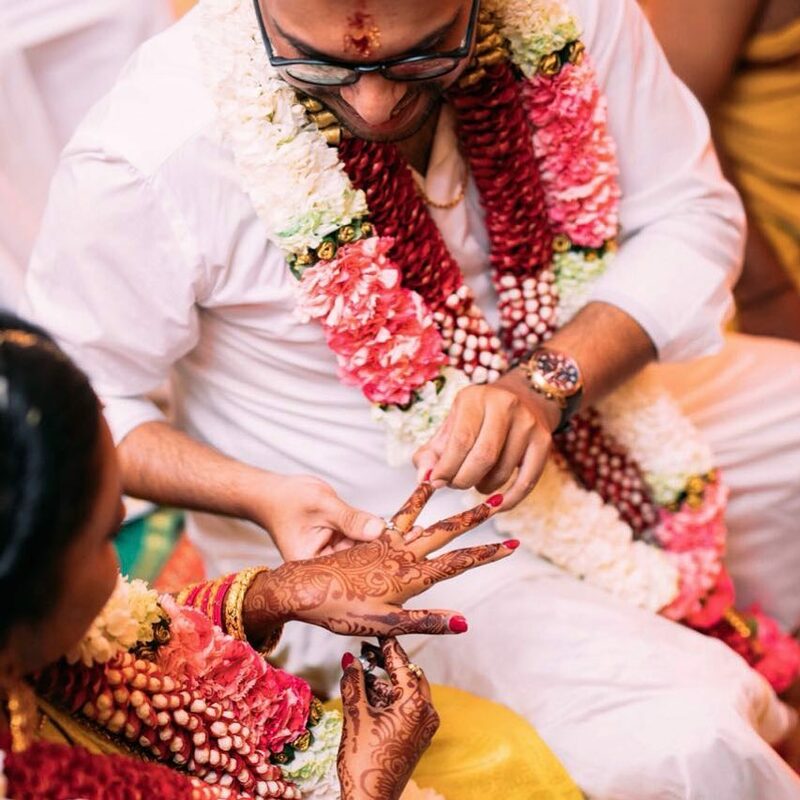 She added a new twist and personalized her mehendi by documenting her entire relationship in just two words! Until now ‘Memes’ was just a part of social media. But now it goes far beyond. 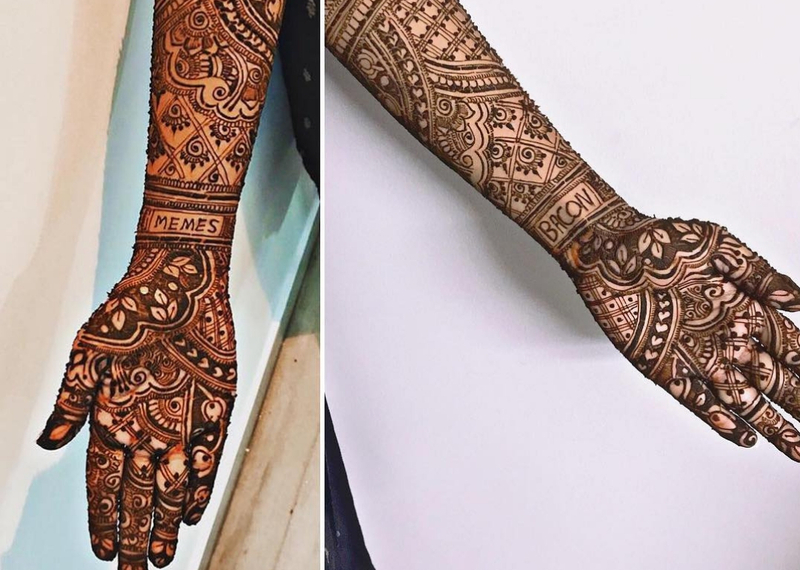 We are totally in love with the illustrations of ‘MEMES’ and ‘BACON’ on the bride’s hands. So, brides-to-be, got any ideas as to what the latest mehendi design would be for your D-Day? 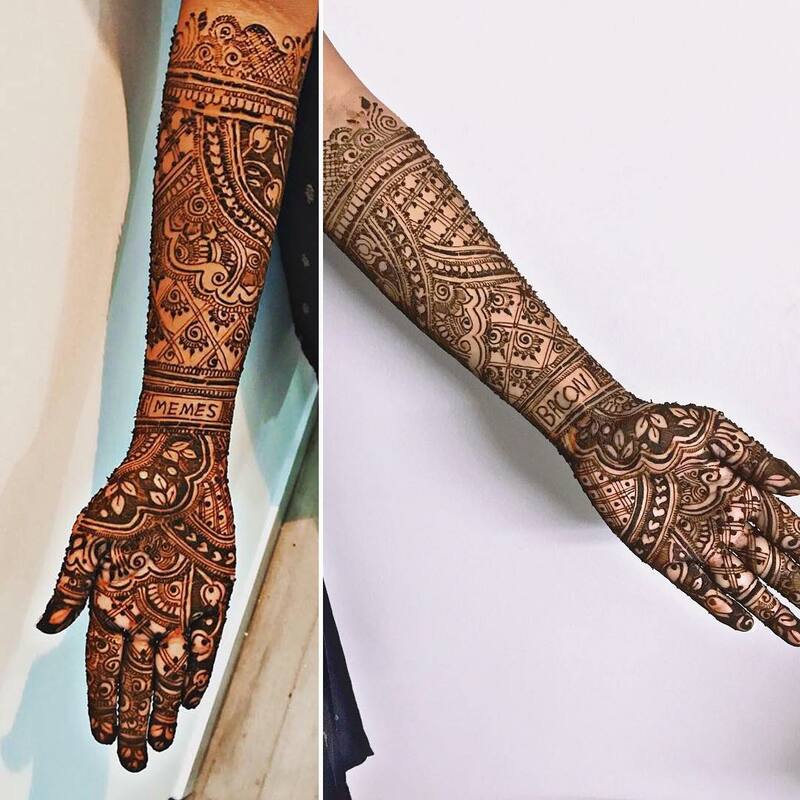 If not, check out these latest portrait mehendi designs for your wedding here.